This is a simple 6 flap foldable idea for introducing your classroom rules, procedures and more at the beginning of the year! I hope you enjoy! 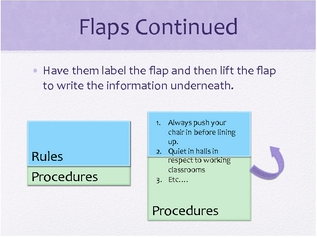 PDF does show how construction steps as well as ideas for how to use it in the classroom.